Several kind-hearted employees at Smithfield Foods in Rose Hill, N.C. are rocking the bald look after having their heads shaved for a very good cause. Last Friday, April 13th, Smithfield hosted an event to benefit the St. Baldrick’s Foundation, a nonprofit organization that raises funds to help find cures for childhood cancer. The event, “Pork Chops and Crew Cuts,” took place at Smithfield’s Rose Hill, N.C. office. 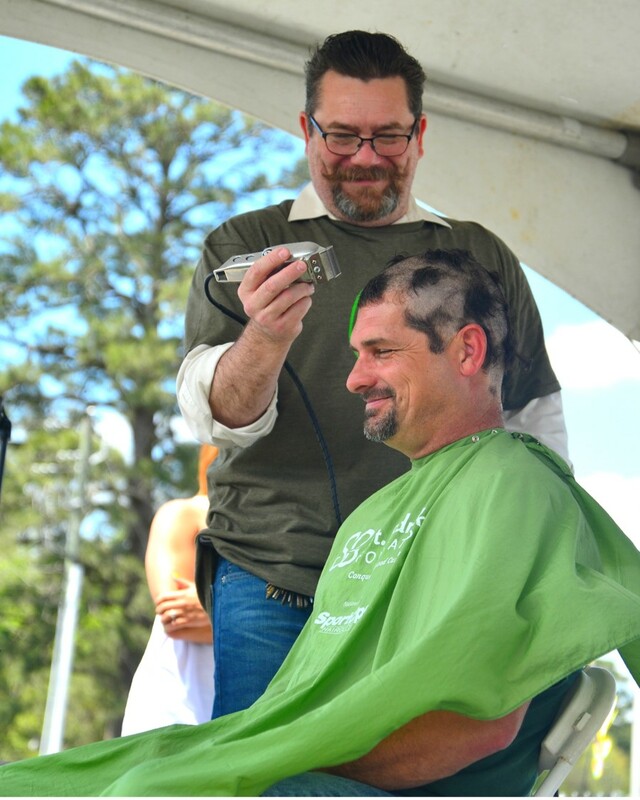 More than 30 Smithfield employees volunteered – organizing and arranging the details, helping with setup, preparing lunch, and…getting their heads shaved. The goal was to raise $25,000 for the Foundation, which they surpassed by raising more than $30,000. Smithfield became involved because the cause is close to employees’ hearts. More children die of childhood cancer than any other disease in the United States and every year 300,000 kids worldwide are diagnosed. Children with cancer hope for the same things that healthy children hope for and the St. Baldrick’s Foundation exists to allow these children to turn their dreams into reality. For more information on the St. Baldrick’s Foundation, visit their website at www.stbaldricks.org.